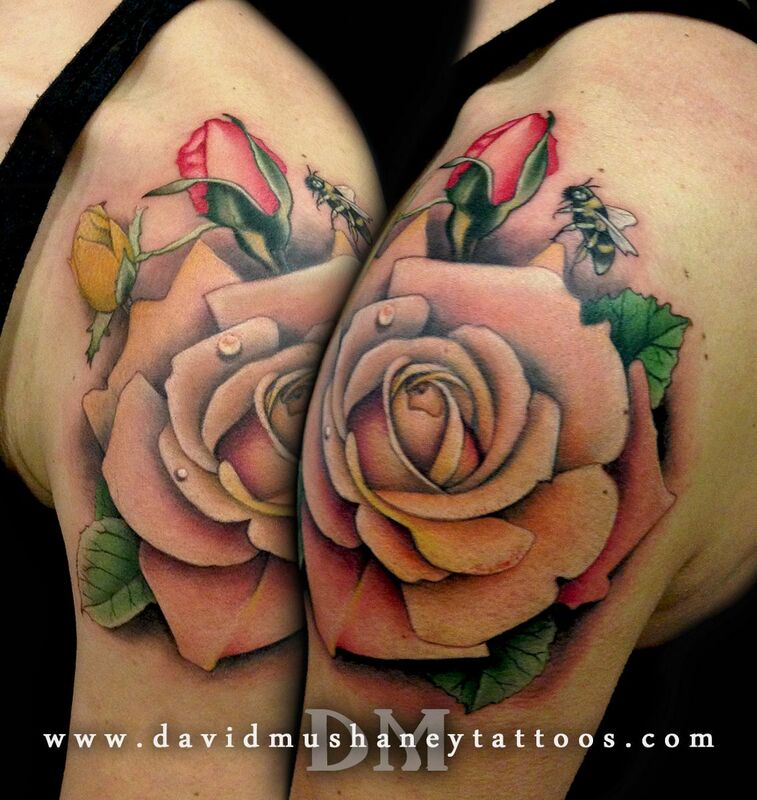 Had a great time tattooing these pastel roses on a really awesome client! This photo is a little dark, but I definiately enjoyed doing some script in this abstract style. Thanks Bri for letting me get creative with this piece! I had a blast doing such an original, semi-abstract tattoo! I had the honor of taking home "Best of Day" on Sunday and "Best of Show" for this Mikey Mouse Skull tattoo. Thanks so much to my client for letting me create such a unique piece!